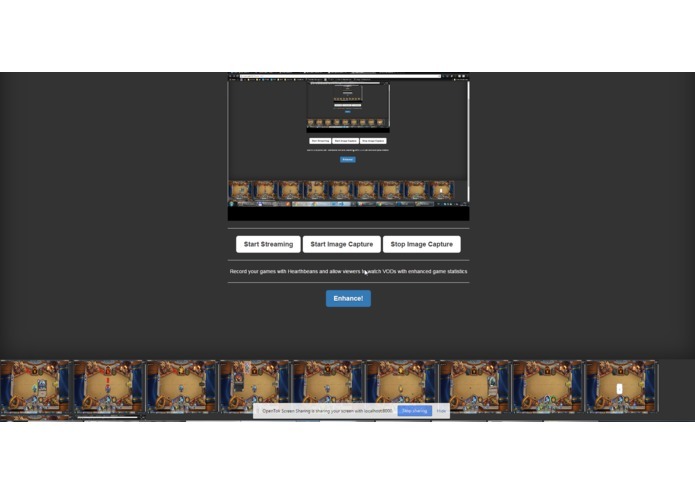 Users can record themselves playing or upload videos of Hearthstone gameplay. The application will take screenshots at a set interval through the Tokbox API. The screenshots are cropped and sent to the Clarifai API for matching against a custom Hearthstone dataset to determine the cards being used. Seeding the custom dataset we hit the Clarifai limits on API calls. Some cards are difficult to match as they look similar to others. Ran out of time to host the application on AWS. Got image cropping and matching to correctly identify cards. 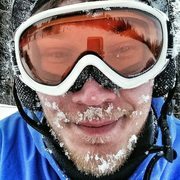 Functional front end application for video recording and automatic screenshots. How to use the Clarifai and Tokbox APIs. I designed the UI and worked on AWS setup. I did the front-end of the application using tokbox api. I worked on image recognition that identifies cards given an image of the game board.